To paraphrase Kevin Costner in Field of Dreams, “build it and they will come”. Once they come to your site – will they stay, request a complementary consultation, price quotation, or purchase your product? To be successful online you need more than website marketing – search engine optimization (SEO), social media, and an attractive looking site to promote your business. First impressions don’t just count – they are everything in the online world. Learn how to reduce your bounce rate – people who leave seconds, never to return again. Read our guest blog on Search Engine People, 5 Must-know Tips for a Lead Generating Website. Learn how to reduce your evacuation rate! Phone number (top right hand corner of homepage) – Don’t you want prospects to call you? Testimonials – Let your customers speak for you! Use keywords – What phrases are people typing into Google to find your competitors? Use those words on your site to help them find you! Compelling content (copy writing) – Needs and benefits-based. It’s all about them, not you or the features of your products and services! Welcome video – Get staying power or “sticky eyeballs” with a well-done video. Speak in the words of your prospective customers or you won’t reach them. A professional marketing writer can write or edit your existing website content. We’re available to help you improve your website from project managing a refresh to tweaking the copy or something in between. The choice is yours. Grauman Packaging is a premium importer and distributor of coordinated stock and custom printed packaging. For over 20 years they have serviced all types of retail stores, shopping malls, and advertising agencies. Their custom coordinated packaging includes bags, boxes, and accessories from tissue paper, ribbons, to labels and more. Rewrote the homepage. To build immediate trust and credibility, a testimonial was used below the headline. The content or copywriting focused on prospective customers’ needs. Do you need quick turnaround? Within two weeks of the face-lift – sales leads for custom packaging tripled including a six figure opportunity! McCabe Marketing is writing additional pages that highlight key customized products among other enhancements. iBrowsers are removable eyebrow tattoos used by people who have little or no eyebrows due to illness such as alopecia. Since 2000, iBrowsers have been sold through retailers and online. McCabe Marketing project managed the launch of the expanded product line and new website. A key recommendation was to sell sample packs to encourage first time buyers to try the product. A graphic artist and web development company were engaged to provide a refreshed look. Additionally, by analyzing the competition and determining the most frequently searched words and phrases, content was rewritten and expanded to include these keywords. They are now on the first page in the search engines. Looking to increase your web presence? We can pull it all together for you. 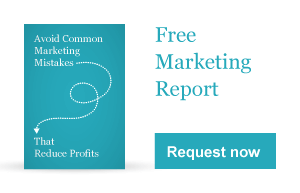 Jumpstart your sales and profits by connecting some key marketing gaps. Need a new site or a face-lift? Explore your options now! Pattie interviews Maureen McCabe about tips for a lead generating website and Google advertising without breaking the bank. Maureen took on the project management task of revamping our website. It was a project that we had wanted to complete for over 8 years. We love our new site!!! Learn how to avoid the eight most common marketing mistakes made by business owners today. These valuable tips will help you save time and money. Imagine being on page one of Google! Many prospective customers are now coming to your site. What will get them to stay longer to learn more about your products and services – and – buy? A picture’s worth a 1000 words. A minute of video’s worth 1.8 million. Create a marketing video to promote your business. Find out how right here!